Mercedes-Benz has announced an industry-first compatibility between one of the hottest gadgets on the market, Apple Watch, and it’s cars’ navigation systems. MB Companion AppZielsicher von Tür-zu-Tür mit der MB Companion App: Die MB Companion App ermöglicht es Mercedes-Benz Kunden; nach Zielen auf der Apple Watch oder dem iPhone zu suchen und diese dann als komplette „Tür-zu-Tür-Navigation“ mit ihrem Fahrzeug zu verknüpfen. 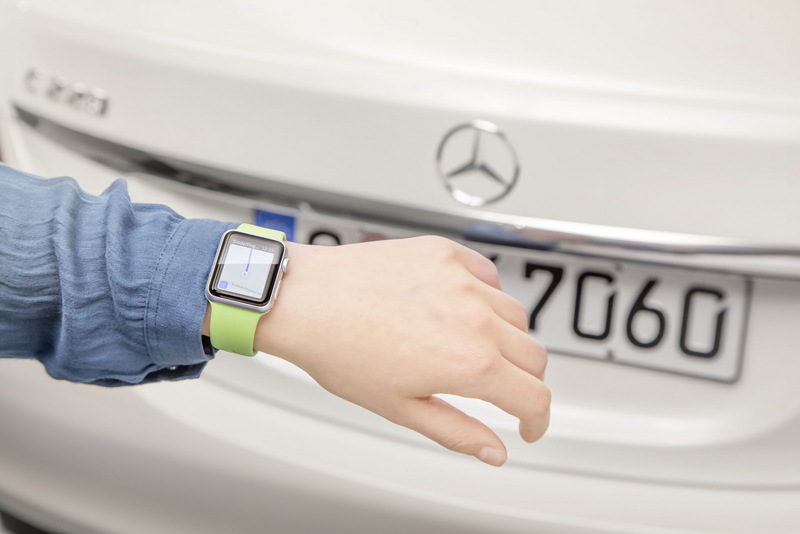 Full-integration of Apple Watch functionality means that Mercedes-Benz owners can now use the MB Companion App to search for directions directly on the watch or on the iPhone for a full door-to-door experience. Walking directions to the car on the Apple Watch, driving directions on the vehicle navigation system and again walking directions on the Apple Watch from the car to the final destination are also possible. Apple Watch can now directly communicate with Mercedes’ own COMAND Online, the destination that the driver selects on Apple Watch being passed to the infotainment system once the driver starts the vehicle. He then receives safe and non-distracting driving directions to his selected destination from Mercedes-Benz navigation. When the driver parks and leaves his car, Apple Watch gives him walking directions to the final destination making it the perfect guide for “Last Mile Navigation”. The new Mercedes-Benz C-Class and S-Class vehicles equipped with COMAND Online will be able to work with the MB Companion App as of fall this year. Further models will follow soon. By then, the MB Companion App will also enable drivers to find vehicle information such as Fuel Level, Range, Maintenance Code, and Odometer Readings on Apple Watch.